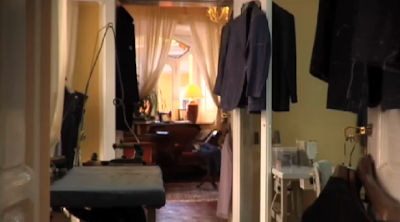 On February 2 there will be a screening of O’Mast, mentioned here before, a beautiful film about Neapolitan tailoring that has only previously been shown in New York. It is being run by B.B. Esq and will take place at the Rook & Raven gallery, near Tottenham Court Road. More details on the B.B. Esq site. You can follow the discussion on London screening of O’Mast by entering your email address in the box below. You will then receive an email every time a new comment is added. These will also contain a link to a page where you can stop the alerts, and remove all of your related data from the site. Splendid. They had an iPad playing this in Drakes the other day but I only got to see a few moments.